This exciting show brings the Broadway hit right to your stage! 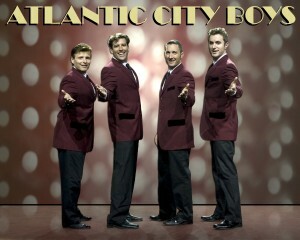 Performing all of the hits of Frankie Valli and the 4 Seasons, their show can be presented with a live band or with pre-recorded backing tracks. This group of talented musicians not only look like the Beatles, but sound like them as well. During your event they will perform a wide variety of Beatles selections ranging from ” I wanna hold your hand”, to ” The Yellow Submarine”, to Let It Be. To add a dramatic flair to their performance they will change costumes to fit the era of the specific selections they are performing. 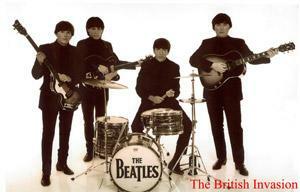 They are guaranteed to create ” Beatle Mania” thoughout your event. Please note set lengths vary due to material available. Let us customize your celebrity look-alike show to fit your theme and audience demographic. 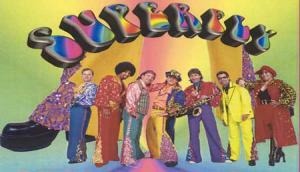 Your show may include one performer or a star-studded lineup of many performers from various decades. We can bring back Elvis and the Rat Pack or bring out Lady Gaga and Cher singing to pre-recorded tracks or even a live band and can include costumed dancers and singers. Other stars may include Tina Turner, Michael Jackson, Britney Spears, Willie Nelson, Roy Orbison, Cyndi Lauper and a host of others. The Distinguished Men of Brass are sure fire crowd pleasers! 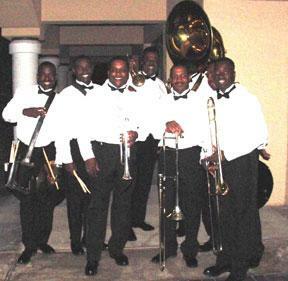 A hip, energetic, one-of-a-kind brass band whose unique blend of music, dance and choreography captivates and thrills all within sight or sound. Combining their high caliber musicianship and outstanding showmanship has garnered them multiple features on NBC’s “America’s Got Talent” and has created a demand for them at top Fortune 300 companies including IBM, Walmart, and Sherwin Williams. They have opened for celebrities Tom Cruise and Hugh Jackman, have been the special attraction for NFL & NBA halftime extravaganzas, and have performed on the same stage as superstars Elton John, Will Smith, Mariah Carey, Celine Dion, Justin Timberlake, John Legend, Taylor Swift, Miley Cyrus, Jennifer Hudson and Kelly Clarkson, to name a few. The energy and the joy they bring is contagious and reaches out to everyone. This group of talented, ware and friendly gentlemen is guaranteed to put on an amazing show, and draw attention wherever they perform from the center stage to a corporate event. Direct from Orlando’s hottest piano bars, our over-the-top piano masters will duel the night away to a musically packed evening full of energy and audience participation. Audience members will make requests sing along, clap, and stomp and have the time of their lives. 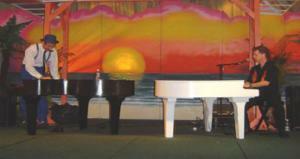 This amazing show comes with sound, lights, pianos and musicians. The Michael Andrew Orchestra was formed with the goal of providing timeless music in the style of the great big band singers. 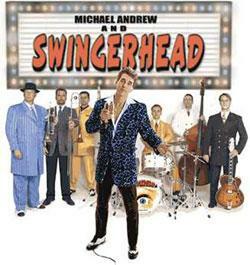 Michael’s voice and singing style have been compared to Frank Sinatra, Bobby Darin and Harry Connick, Jr. This energetic entertainer has performed in nightclubs throughout the United States and Europe, and for hundreds of social events and conventions throughout Florida. His band not only specializes in the popular retro swing sound that has been sweeping the country, but also the timeless standard of the 1930’s, 1940’s and 1950’s. In 1993, the world famous Rainbow Room at Rockefeller Plaza in New York City invited Michael to become their headlining singer and bandleader where he performed five to six nights a week for over two years. 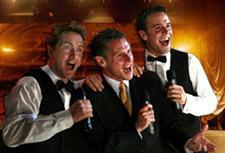 The original and still the very best Surprise Entertainment show available, “The Three Waiters” involves three singing waiters hiding in plain sight at your private function before unleashing a dynamic and sophisticated live performance a la The Three Tenors! 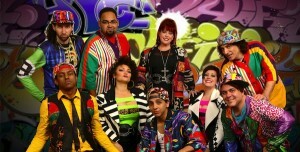 One of America’s best a cappella groups is based in Central Florida. They combine comedy, improv, incredible vocals and audience interaction to provide one of the best shows you will ever see. With over 200 off Broadway performances, The Drama Desk Award, and The CARA Award for “Artist of The Year”, Vox Audio have made their mark as one of the most uniquely clever, extremely original, side-splitting funny, interactive and fun productions in America.